Researchers have generated functional hepatocytes from human stem cells, transplanted them into mice with acute liver injury, and shown the ability of these stem-cell-derived human liver cells to function normally and increase survival of the treated animals. This promising advance in the development of cell-based therapies to treat liver failure resulting from injury or disease relied on the development of scalable, reproducible methods to produce stem-cell-derived hepatocytes in bioreactors, as described in an article pubished online on July 9, 2013 in Stem Cells and Development, a peer-reviewed journal from Mary Ann Liebert, Inc., publishers. First author Dr. Massoud Vosough and coauthors, including senior author Dr. Hossein Baharvand, demonstrate a large-scale, integrated manufacturing strategy for generating functional hepatocytes in a single suspension culture grown in a scalable stirred bioreactor. In the article, the authors describe the method used for scale-up, differentiation of the pluripotent stem cells into liver cells, and characterization and purification of the hepatocytes based on their physiological properties and the expression of liver cell biomarkers. Dr. David C. Hay, MRC Centre for Regenerative Medicine, University of Edinburgh, U.K., comments on the importance of Vosough et al. 's contribution to the scientific literature in his editorial in Stem Cells and Development entitled "Rapid and Scalable Human Stem Cell Differentiation: Now in 3D." The researchers "developed a system for mass manufacture of stem-cell-derived hepatocytes in numbers that would be useful for clinical application," creating possibilities for future "immune-matched cell-based therapies," says Dr. Hay. Such approaches could be used to correct mutated genes in stem cell populations prior to differentiation and transplantation, he adds. Color in living organisms can be formed in two ways: pigmentation or anatomical structure. Structural colors arise from the physical interaction of light with biological nanostructures. A wide range of organisms possess this ability, but the biological mechanisms underlying the process have been poorly understood. Two years ago, an interdisciplinary team from the University of California at Santa Barbara (UCSB) discovered the mechanism by which a neurotransmitter dramatically causes changes of color in the common market squid, Doryteuthis opalescens. That neurotransmitter, acetylcholine, sets in motion a cascade of events that culminate in the addition of phosphate groups to a family of unique proteins called reflectins. This process allows the proteins to condense, driving the animal's color-changing process. Now the researchers have delved more deeply to uncover the mechanism responsible for the dramatic changes in color used by such creatures as squids and octopuses. The findings were published in the February 12, 2013 issue of PNAS, in a paper by molecular biology graduate student and lead author Daniel DeMartini and co-authors Dr. Daniel V. Krogstad and Dr. Daniel E. Morse –– and are described in an article by Dan Crossins in the July 1, 2013 issue of The Scientist. Structural colors rely exclusively on the density and shape of the material rather than its chemical properties. The latest research from the UCSB team shows that specialized cells in the squid skin called iridocytes contain deep pleats or invaginations of the cell membrane extending deep into the body of the cell. This creates layers or lamellae that operate as a tunable Bragg reflector. Disabling a protein in Ebola virus-infected cells can stop the virus from replicating and infecting the host, according to researchers from the Icahn School of Medicine at Mount Sinai. The data are published in the July 17, 2013 issue of the journal Cell Host & Microbe. Ebola viruses cause severe disease in humans because they can deactivate the innate immune system. Christopher Basler, Ph.D., Associate Professor of Microbiology at Mount Sinai and his team have studied how Ebola viruses evade the immune system, and discovered that a viral protein called VP35 is critical to deactivating the immune system. They found that when VP35 interacts with an important cellular protein called PACT, it blocks PACT from activating the immune system, allowing the virus to spread. "Ebola viruses are extremely lethal, and are a great threat to human health as a bioweapon," said Dr. Basler. "Currently, there is no approved vaccine or treatment. Our findings will hopefully pave the way for future antiviral treatments." With the help of collaborators at the University of Texas with access to special high containment facilities, Dr. Basler and his team infected healthy cells using Ebola virus-infected cells that had mutated versions of VP35. The mutations disabled VP35's ability to interact with PACT, therefore allowing it to activate the immune system and prevent the virus from replicating. Next, the researchers overexpressed PACT in healthy cells, and infected them with Ebola virus cells. They found that overexpressing PACT also inhibited viral replication. Armed with this discovery, Dr. Basler and his team hope to develop drugs that disrupt the interaction of VP35 with PACT, or drugs that overexpress PACT. Researchers have developed a reliable way to use a finger-stick blood sample to detect fibromyalgia syndrome, a complicated pain disorder that often is difficult to diagnose. If it were someday made available to primary care physicians, the test could knock up to five years off of the wait for a diagnosis, researchers predict. In a pilot study, the scientists used a high-powered and specialized microscope to detect the presence of small molecules in blood-spot samples from patients known to have fibromyalgia. By "training" the equipment to recognize that molecular pattern, the researchers then showed that the microscope could tell the difference between fibromyalgia and two types of arthritis that share some of the same symptoms. Though more analysis is needed to identify exactly which molecules are related to development of the disorder itself, the researchers say their pilot data are promising. "We've got really good evidence of a test that could be an important aid in the diagnosis of fibromyalgia patients," said Dr. Tony Buffington, professor of veterinary clinical sciences at The Ohio State University and senior author of the study. "We would like this to lead to an objective test for primary care doctors to use, which could produce a diagnosis as much as five years before it usually occurs." Patients with fibromyalgia are often desperate by the time they receive treatment because of the lengthy process required to make a diagnosis. The main symptoms, persistent pain and fatigue, mimic many other conditions, so physicians tend to rule out other potential causes before diagnosing fibromyalgia. Additional symptoms include disrupted sleep and memory or thought problems. Alzheimer's, Huntington's, Parkinson's--these are names forever linked to what they represent: diseases that ravage the brain's neurons and leave entire regions to wither and die. These and other so-called neurodegenerative diseases are often associated with the buildup of toxic proteins that lead to the death of neurons. But now, scientists at the Gladstone Institutes have discovered that the progression of disease is not due to the buildup of toxins itself, but rather in the individual neurons' ability to flush these toxins out. Further, they have identified a therapeutic target that could boost this ability, thereby protecting the brain from the diseases' deadly effects. In an article published online on July 21, 2013 in Nature Chemical Biology, researchers in the laboratory of Gladstone Investigator Steve Finkbeiner, M.D., Ph.D., describe how a newly developed technology allowed them to see—for the first time—how individual neurons fight back against the buildup of toxic proteins over time. Focusing their efforts on a model of Huntington's disease, the team observed how different types of neurons in the brain each responded to this toxic buildup with different degrees of success, offering clues as to why the disease causes neurons in one region to die, while neurons in another are spared. "Huntington's—an inherited and fatal disorder that leads to problems with muscle coordination, cognition, and personality—is characterized by the toxic buildup of a mutant form of the huntingtin protein in the brain," explained Dr. Finkbeiner, who directs the Taube-Koret Center for Neurodegenerative Disease Research at Gladstone. Dr. Finkbeiner is also a professor of neurology and physiology at the University of California, San Francisco, with which Gladstone is affiliated. Once thought to have been extinct, native American dogs are, on the contrary, thriving, according to a recent study that links these breeds to ancient Asia. The study was published online on July 10, 2013 in an open-access article in the Proceedings of the Royal Society B--Biological Sciences. The arrival of Europeans in the Americas has generally been assumed to have led to the extinction of indigenous dog breeds; but a comprehensive genetic study has found that the original population of native American dogs has been almost completely preserved, says Dr. Peter Savolainen, a researcher in evolutionary genetics at the KTH Royal Institute of Technology in Stockholm. In fact, American dog breeds trace their ancestry to ancient Asia, Dr. Savolainen says. These native breeds have 30 percent or less modern replacement by European dogs, he says. “Our results confirm that American dogs are a remaining part of the indigenous American culture, which underscores the importance of preserving these populations,” he says. Dr. Savolainen's research group, in cooperation with colleagues in Portugal, compared mitochondrial DNA from Asian and European dogs, ancient American archaeological samples, and American dog breeds, including chihuahuas, Peruvian hairless dogs, and Arctic sled dogs. 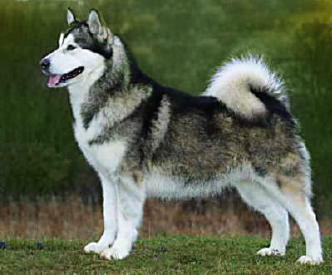 They traced the American dogs’ ancestry back to East Asian and Siberian dogs, and also found direct relations between ancient American dogs and modern breeds. “It was especially exciting to find that the Mexican breed, chihuahua, shared a DNA type uniquely with Mexican pre-Columbian samples,” Dr. Savolainen says. High-resolution mapping of the epigenome has discovered unique patterns that emerge during the generation of brain circuitry in childhood. While the 'genome' can be thought of as the instruction manual that contains the blueprints (genes) for all of the components of our cells and our body, the 'epigenome' can be thought of as an additional layer of information on top of our genes that changes the way they are used. "These new insights will provide the foundation for investigating the role the epigenome plays in learning, memory formation, brain structure, and mental illness." says University of Western Australia (UWA) Professor Ryan Lister, a genome biologist in the Australian Research Council (ARC) Centre for Excellence in Plant Energy Biology, and a corresponding author in this new study, published online on July 4, 2013 in Science. Dr. Joseph R. Ecker, senior author of this study, and professor and director of the Genomic Analysis Laboratory at California's Salk Institute for Biological Studies in California, said the research shows that the period during which the neural circuits of the brain mature is accompanied by a parallel process of large-scale reconfiguration of the neural epigenome. A healthy brain is the product of a long period of developmental processes, Professor Ecker said. These periods of development forge complex structures and connections within our brains. The front part of our brain, called the frontal cortex, is critical for our abilities to think, decide, and act. The frontal cortex is made up of distinct types of cells, such as neurons and glia, which each perform very different functions.